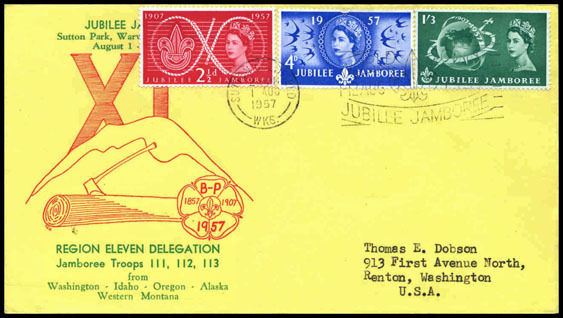 Copyright © 2010 - 2015 by Scouts on Stamps Society International, Inc. All rights reserved. These are US covers properly sent from foreign countries. Included are covers created by US organizations for foreign events. “Siempre Listo”, and not “Be Prepared”. and Brazil, which sided with the Central Powers. Southhampton on July 20 and was in London the next day, July 21.
de France" label. 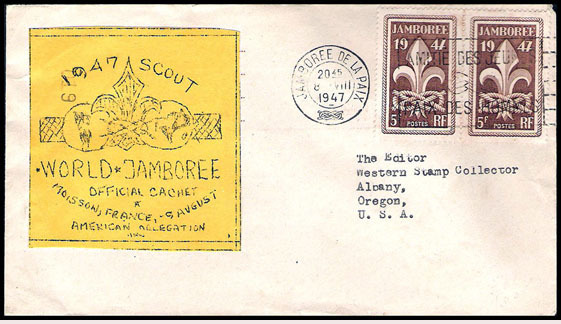 Mailed from the Jamboree. 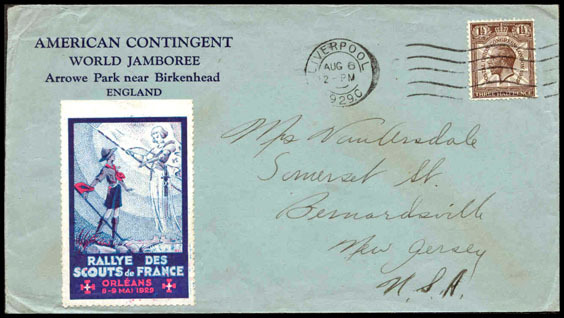 The Liverpool postmark was used for regular mail. 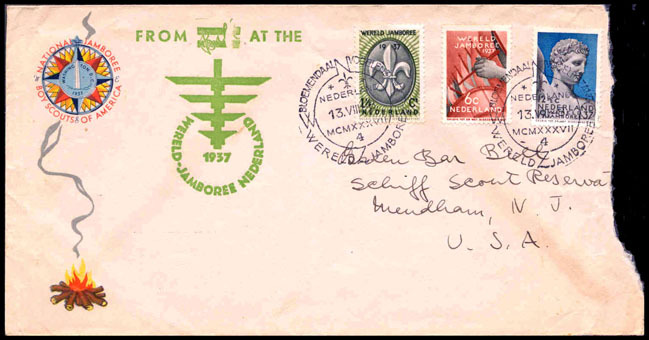 National Council, BSA made the stationery available to the contingent. and forwarded. 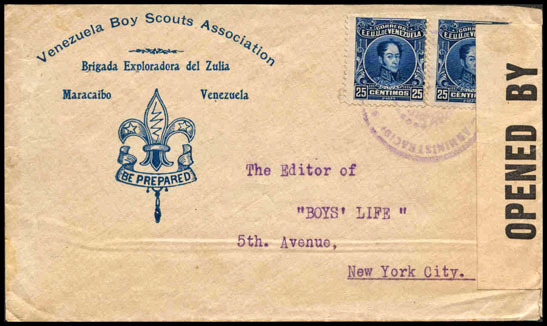 This stationery was made available to the BSA to use during their entire trip. 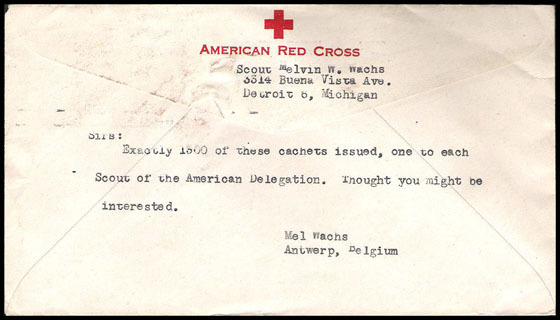 Sent after the Jamboree from the Delegation while on tour. 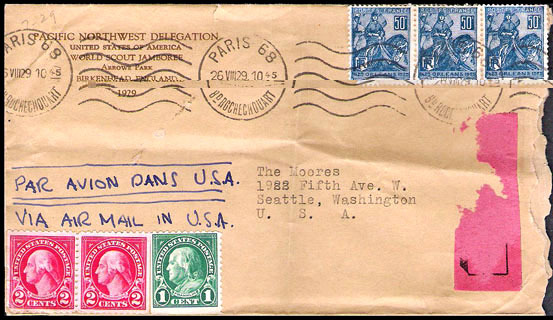 With unused additional US postage intended for domestic airmail. 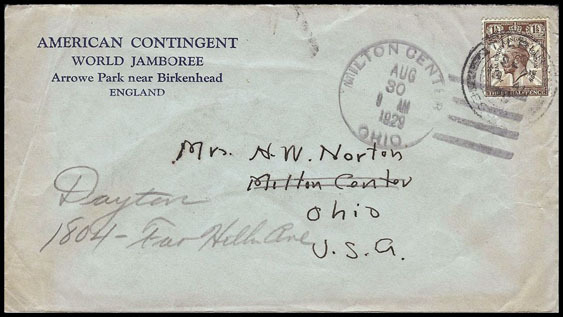 Sent on the closing day of the Jamboree. 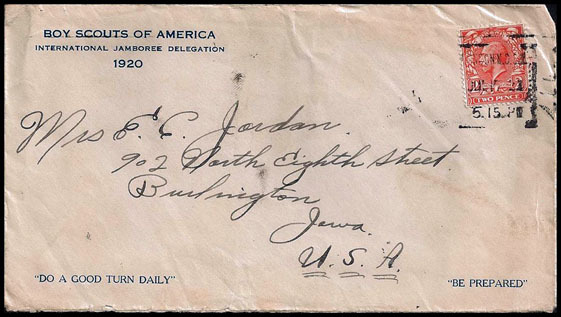 On #37-5, First National [US] Jamboree official stationery. 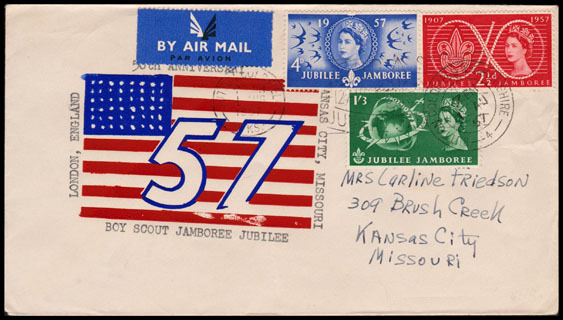 Hillcourt attended the US Jamboree & then carried this stationery to the World Jamboree. He sent this example to himself. Glued on yellow label mimeographed in black. The General Muir was one of two United States Army Transports that carried the US Scout contingent to the Jamboree. authors. See the Nov-Dec, 2011 issue of the SOSSI Journal for more information as well as images of two other covers. 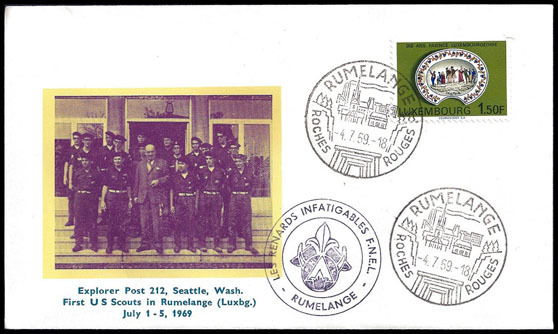 The Scouts of the "Spinach Capital of the World" on an international trip 50 miles from home. Jamboree Slogan Cancel. 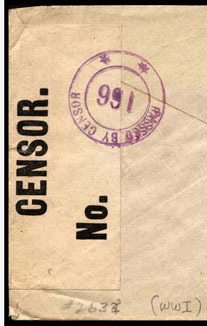 Stamps are from sheets, not coils. Jamboree Slogan Cancel & Warwickshire Cancel. Stamps are from sheets, not coils. 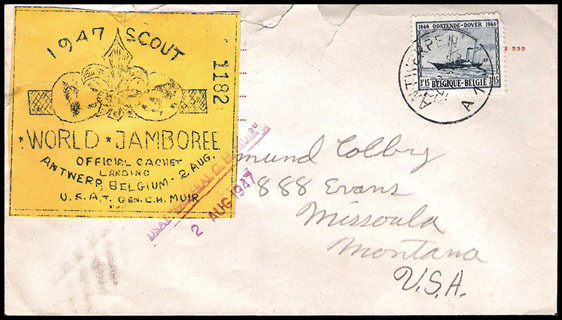 Cachet is similar to, & prepared by, the same unit as 58-22 in the Print Catalog.